Our chief audio engineer has extensive experience and has worked on some of the biggest local and International shows: British Music Awards, BAFTAS, FIFA World Cup 2010 and 2014; Ryder Cup 2002 and 2010; London Olympics 2012 (main audio guarantee); UEFA Euro Finals 2012; SA IDOLS 2011 – 2017; Miss SA 2014 – 2017; SA Music Awards; The Ashes 2015; The British Open 2016 & 2017; World Strongman 2016 & 2017; MTV Africa Music Awards and many others. Our chief video engineer is one of the most respected and experienced engineers in South Africa. He has worked on most of the major South African productions with SABC, MNET and ALFACAM. He has also consulted to major International facilities providers. 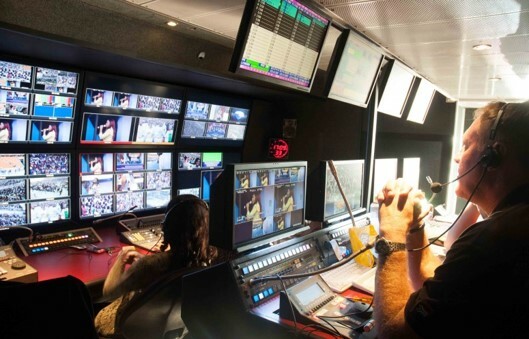 We are industry leading suppliers & operators of outside broadcasting facilities for events and shows of any scale.